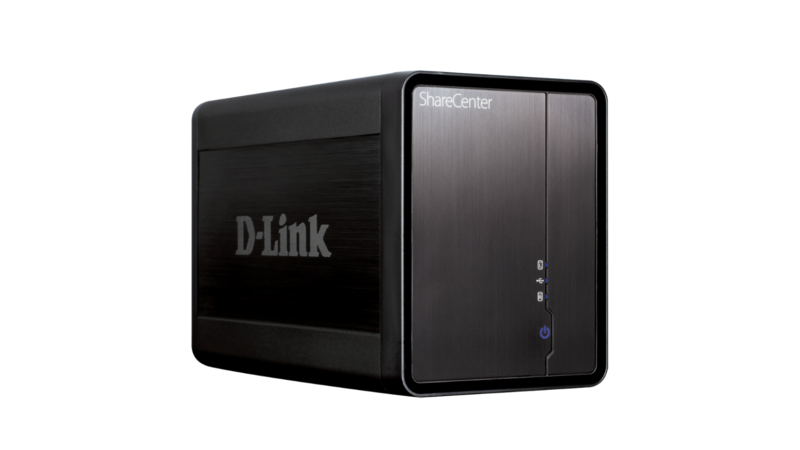 The D-Link ShareCenter 2-Bay Network Storage Enclosure supports up to 8TB of capacity allowing everyone on your network to back up and share their documents, music, photos, and videos to a central location. With a 1.2GHz CPU and applications for streaming and sharing, the DNS-325 is ideal for media users. 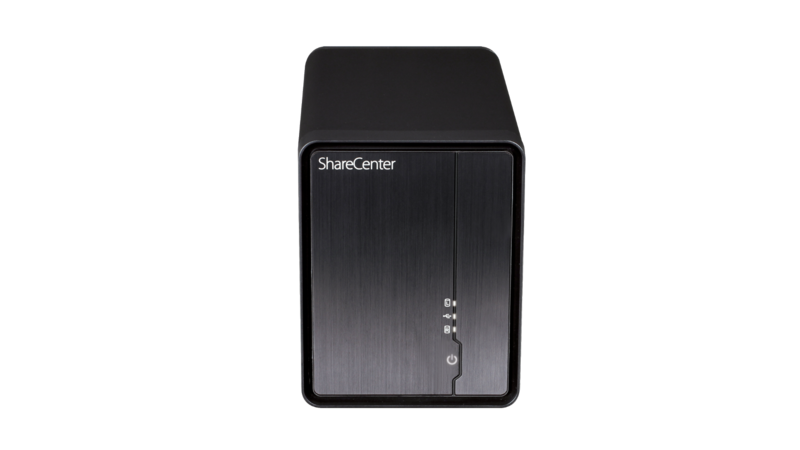 The ShareCenter™ 2-Bay Network Storage Enclosure, when used with internal SATA drives1, enables homes and small offices to share documents and files across the network and on the Internet. This enclosure also allows for the creation of a central network point for backing up files and the built-in RAID 1 mirroring technology protects these files from drive failure. Add-on applications can be installed to further extend functionality. This ShareCenter™ Cloud Storage device enables you to share documents and media content such as photos, music and videos on a home network or over the Internet. The mydlink Cloud mobile app allows you to share documents and access photos, music and video stored in your D-Link ShareCenter™ right from your mobile device. Once connected, you can instantly open or send files, folders, pictures or videos from your mobile device with just a click. mydlink Cloud makes it easy to work directly with your NAS files, no matter where you are — and even listen to music in the background at the same time. If you have with further technical knowledge you can manage the contents of their ShareCenter™ from any FTP client. The built-in UPnP media server will stream the media content on your Sharecenter™ to any compatible media player such as the PlayStation 3, Microsoft Xbox 360, and D-Link Boxee Box over your local network. The Sharecenter™ 2-Bay Network Storage Enclosure allows for multiple simultaneous streams, so you can watch a movie on your entertainment centre while someone else listens to music streamed over their computer. The ShareCenter™ 2-Bay Network Storage, when used with internal SATA drives1, enables users to share documents and files with other users on the same network. Users can also gain remote access to their files over the Internet using the built-in web/file server or the secure FTP server. Keep data safe by giving rights to specific users or groups and assign them to folders with specific read/write permissions. This is ideal for an office environment with sensitive employee-specific data or at home when parents want to restrict their children’s access to certain material . The ShareCenter™ also supports Apple Time Machine which allows users to easily back up any Mac computers running OS X (10.5 or later). Powerful add-on applications extend NAS functionality and allow you to do more with your ShareCenter™. Surveillance Center allows you to access and configure D-Link IP cameras on the same network to record, monitor and playback. Photo and Audio Center allows you to generate photo and music libraries that can be easily managed and shared. Enjoy even more add-ons as they become available in the future. Share a USB printer or scanner within the network by connecting it to the USB 2.0 port. You may also plug in an external hard drive or flash storage device and share it with the entire network. A convenient USB push button allows you to instantly copy the data on a USB flash storage device to the NAS. Additionally, the ShareCenter™ supports UPS monitoring via USB to help maintain data integrity during a power failure. The availability of four different hard drive modes (Standard, JBOD, RAID 0, RAID 1) allows users to choose the configuration best suited to their needs. Standard mode creates two separately accessible hard drives. JBOD combines both drives to create a single, easy to use volume. RAID 0 combines both drives in a “striped” configuration, which provides the highest performance when using a Gigabit Ethernet connection. RAID 1 creates a copy of your data on both drives, providing maximum protection; if one drive fails while configured as RAID 1, the unaffected drive continues to function as a single drive until the failed drive is replaced. The new drive will then be re-mirrored, allowing the ShareCenter™ to return to its full level of protection. Enhanced RAID roaming allows the users to easily upgrade to the cloud NAS experience. Simply install existing hard drives from compatible D-Link NAS models into the Cloud Network Storage Enclosure and your data can be accessed from anywhere. There is no need to reformat, reconfigure or migrate your data (please refer to specifications for information on compatible upgrade models). For businesses interested in reducing their energy costs and helping to save the environment, D-Link Green™ products provide eco-friendly alternatives without compromising performance. 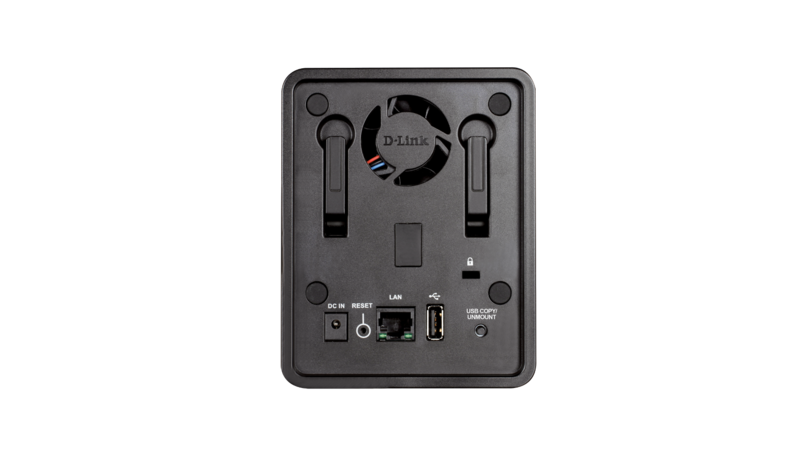 This device uses D-Link Green Ethernet, Hard Drive power management and Smart Fan speed control to reduce energy costs, minimize noise, and prolong the lifespan of your hard drives. Also available with 1TB or 2TB Hard Drives installed (DNS-325-1TB and DNS-325-2TB). 1 Hard drives only included for DNS-325 1TB (1 x 1TB) and DNS-325 2TB (1 x 2TB). RAID 1 mirroring requires the use of two internal SATA drives. To avoid data incompatibility in RAID 1 operation, use SATA drives from the same manufacturer. Formatted drive capacity for RAID 1 operation is dependent on the drive capacity of the lowest-sized drive. May not work with older generation SATA drives. For a list of SATA drives that have been tested to work with the ShareCenter™, visit D-Link support websites. За първи път ли настройвате?